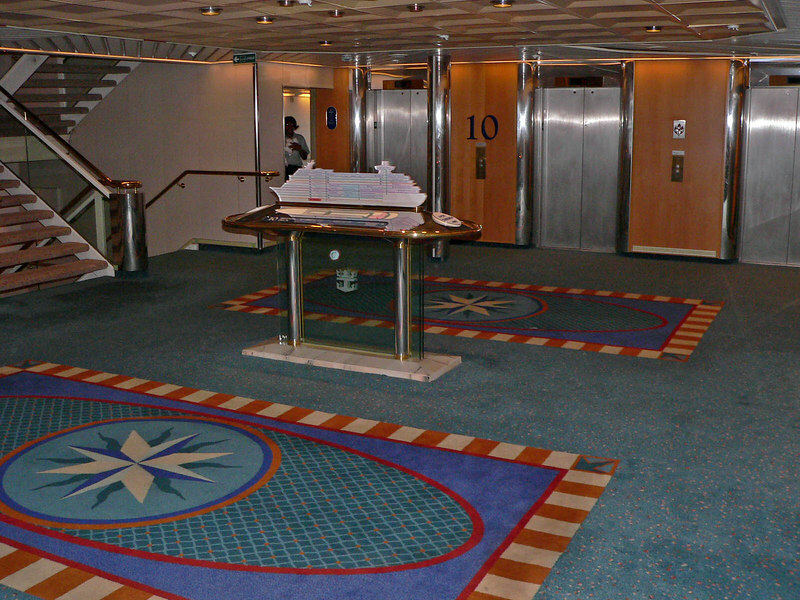 Took the RCCL Monarch of the Seas from LA to Ensenada (3 days) on April 14, 2006. It was a great trip, I bought it as a birthday gift for my mother who had never been on a cruise. It was a bit cold but cleared up nicely for sea day. We had Junior Suite 1580 and it was great. We did Sail-Away from LA in the Royal Suite as friends were in it. Hope you enjoy the pics. You can click on the picture to make it larger. As always, comments are welcome. Typical elevator lobby. There is always a ship model to show you where you are.